As long as it is NOTHING like the old one, it may be ok. I honestly don't know why they'd revive a name that doesn't really have a great history for being a "Honda". It was a rebadged Isuzu Rodeo. Anyways, the basic idea seems to be that it's a 5-seater Pilot (not exactly but rather a shortened version of the Pilot, appropriately shrunk as needed). Bigger than a CR-V - taller, wider, etc - but not as monstrous as the Pilot. We've been eyeing an older 4wd SUV for a VERY mild build, and I'd certainly take a clean old Passport/Rodeo (decently built little trucks). Really wish Honda had a 4Runner competitor. Actually, I wish the new Jimny was sold in the states. It looks to be a winner! Probably lots of people. GM announced today they are cutting 15% of their workforce and 3-4 car models because SUVs are killing car sales. 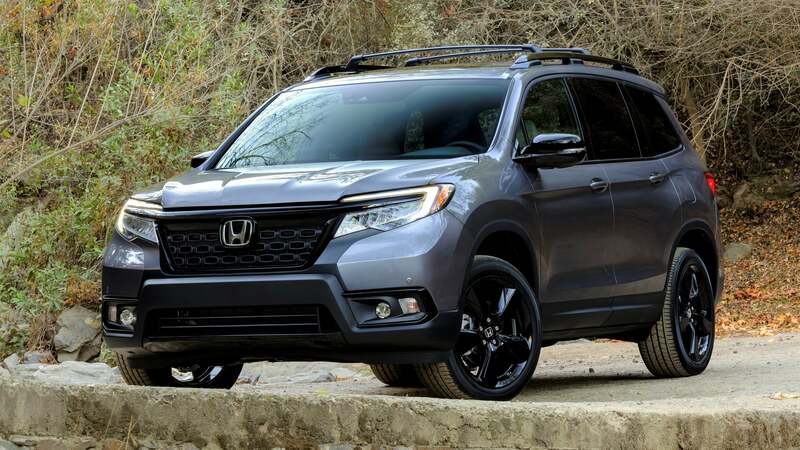 There is a pretty big leap in size between CR-V and Pilot - 16" of length to be exact. I'm sure they'll find enough buyers to make it worth their time. From what I've heard, it's more or less a shortened Pilot so probably didn't cost Honda all that much to make. That's my take too - its a slightly smaller, cheaper Pilot, to fill that gap in Honda's product lineup. I think it looks better than the Pilot/Ridgeline with which it shares a platform, and the size is good IMO. Will consider this to replace our 2016 Mazda CX-5 when our lease is up at the end of 2019. BMW X1, X2, X3, X4, X5, X6, X7 .... same idea. Last edited by freq; 12-05-2018 at 05:54 AM. I came into this thread purely in hopes of finding some funny comments. No actual interest in this vehicle.